Uncategories Will Imran Khan PTI Be Able To Sweep In Next Elections of 2013? 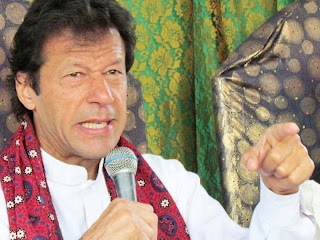 We often hear from Chairman Tehreek Insaf Imran Khan that his party will sweep in next elections of 2013 and will be able to get majority in the Parliament. Even i as a youngster who wants to see a change in Pakistan would want that, but the question is that can PTI really do that? Can they win the election all alone in a country like Pakistan? Pakistani Politics is very complicated. its not like Politics of Western Countries. There are many many factors like Sectarianism, Castes, Language, personal benefits involved in it. a large no. of Pakistani Population is Illiterate. A very large no. not goes for voting on the Election day. In many areas Sardari and Vadera System is present. So i personally think that Pakistan Tehreek Insaf will not be able to do Sweep in the elections of 2013. however they will get good no. of votes in Punjab as well as KP. They will get majority of their votes from areas where people are educated like Lahore, Faisalabad, Sialkot. In Karachi they will not get votes because there MQM gets votes on the ethnic basis. Pakistani Youth which participates very less in voting will have to come out to vote if we really want to see PTI in Government otherwise we will have to continue with same old parties. We also need to educate our people about importance of voting for the right person.